Gareth is the 3rd Single to be taken from The Late Greats debut album "Life Without Balloons." in their own words the track "is about a young man's sudden and painful realisation that he is not immortal. The song isn't about the sadness that a death brings to others: it's about the terror, for inside another person's death is the promise of your own" At the same time it's also rather uplifting and life affirming. 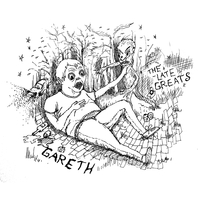 Unfortunately at this time we can't offer all the The Late Greats - Gareth : The Early Years EP tracks as individual mp3s, as some of these tracks exceed the shops maximum (9mins) download length.